Octonauts: The Great Swamp Search – Like Mission Impossible for Young Audiences! You are here: Home / Media Reviews / Octonauts: The Great Swamp Search – Like Mission Impossible for Young Audiences! Dive into adventure with your favorite underwater explorers, the Octonauts! Join brave Captain Barnacles, daredevil ex-pirate, Kwazii, and medic Peso Penguin, along with the other Octonauts as they explore the world’s oceans, rescue the creatures that live there and protect their habitats – above and below the waves! On this exciting DVD, join the Octonauts as they journey to the Everglades to help Tweak’s dad, Ranger Marsh, track down several invasive species – including a Burmese Python and her babies! The adventures continue with six more exciting underwater missions! KIDS FIRST! Film Critic Arjun N. comments, “The voice acting and plots bring a unique feel unlike other animated work. 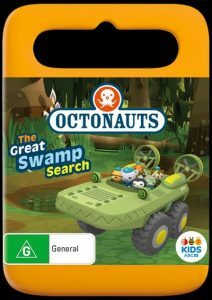 This is sure to be a hit with kids who love animation.” Sahiba K. adds, “Octonauts: The Great Swamp Search is like Mission: Impossible for younger audiences! There is danger and action at every corner and unique adventures.” See their full reviews below. This is a fun, educational, adventure-filled DVD with animals. The voice acting and plots bring a unique feel unlike other animated work. This is sure to be a hit with kids who love animation. The story follows the adventures of an underwater exploring crew, the Octonauts which includes Captain Barnacles (Simon Greenall), Lieutenant Kwazii (Rob Rackstraw), Medic Peso (Wayne Greyson), Biologist Shellington (Keith Wickham), and Founder Grimpoteuthis (Keith Wickham). They are enticed by many adventures including the likes of returning animals to their homes, rescuing baby animals and finding the right turf for a group of hippos. Meanwhile, they discover new information about all the animals they are investigating. Simon Greenall, as Barnicles, presents a commanding presence in leading the Octonauts, especially when choosing what a priority is. He is my favorite character because of this. Rob Rackstrawis, as Kwazii, is a fun member of the team who loves to help the animals and learn more about them. It is also interesting to see her reunion with her father who plays a big part in the first adventure. Wayne Greyson, as Peso, is an incredibly smart medic who wants to use his skills to save lives. Keith Wickham, as Shellington and Grimpteuthis, portrays two different characters that are of great importance to the team. Darragh O’Connell directs this show with a Star Trek-esque tone of discovery. My favorite scene is the chase from the hippos because of the creative ways in which the Octonauts flee. It also feels like an extremely urgent scene. My only problem with the show is that, at times, the episodes are repetitive such as when they use the same plots with different animals. The message of the show is to protect all animals and the ecosystem. Despite being treated unfairly by the animals, the Octonauts work around that to help them. They even give food to the hungry carnivores who threaten the ecosystem, while protecting the other animals. I give this film 4 out of 5 stars and recommend it for ages 6 to 12. This DVD is available now so be sure to check it out. 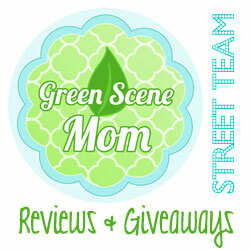 Octonauts: The Great Swamp Search is like Mission: Impossible for younger audiences! There is danger and action at every corner and unique adventures. The music is engaging and made my heart race, adding to the thrilling effect. Along with the gripping stories, each episode cleverly incorporates interesting fun facts casually into the Octonauts’ conversations. The story follows the Octonauts – Captain Barnacles, Kwazii, Peso Penguin, Dashi Dog, Shellington, Tweak and Tunip who always come to the rescue. Each episode follows an entertaining and fresh storyline where the Octonauts face peril and must use teamwork and problem solving to save the day. They help a myriad of animals and learn much from their adventures. Every species has a distinctive voice and accent. This adds to the element of diversity and uniqueness. Simon Greenall as Captain Barnacles makes it obvious through his authoritative voice that he is the captain. Kwazii (Rob Rackstraw) is a pirate and incorporates an interesting accent to enhance his character and add humor. The animation is quite realistic, particularly the water, shadows, clouds and colors during different times of the day. The water moves so smoothly that I felt I could reach into their world and touch it. Throughout many scenes, reflections can be seen in the water and are extremely naturalistic. The clouds move subtly across different shots and the movement is memorable. Shadows of the trees, animals and the Octonauts are beautifully portrayed. In the shadows, underwater and during different times of day, the colors change intensity which boosts the sublime qualities of the animation. The animated cinematography is special. There are many wide shots that show the Octonauts from afar and then zoom in, allowing the viewer a chance to enjoy the scenery, light and depth of the animation. The 3D effects create a world that doesn’t seem so far from reality even though it is. It immersed me in the experience while learning about all the different species. My favorite part is how fun facts are blended into the conversations. Even though it doesn’t feel as you are learning something, you learn many different things about hippos, crawfish and a multitude of other animals. The messages of this show are about teamwork, putting others before yourself and being kind to everyone. I give this DVD 4.5 out of 5 stars and recommend it for ages 2 to 12. It is available on DVD now so, be sure to check it out. 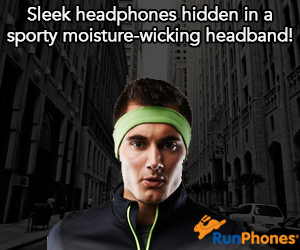 It’s great stealth learning.